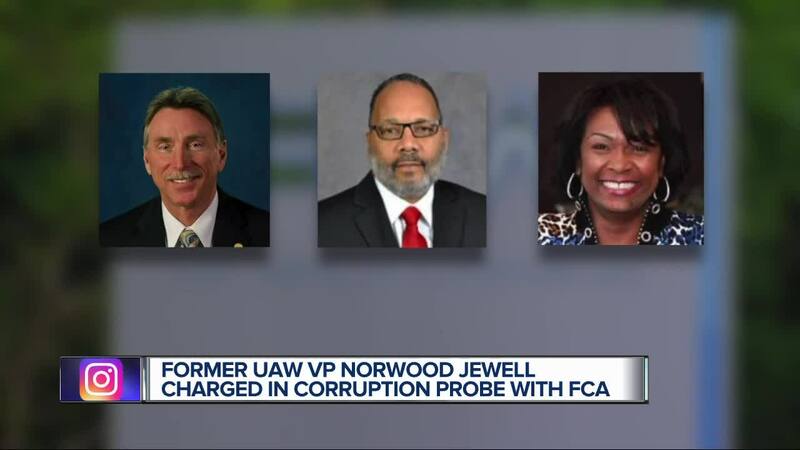 A former vice president at the United Auto Workers has been charged with conspiracy in a scheme with Fiat Chrysler to buy meals, golf and other perks with money from the automaker. It's the latest development in the government's investigation of how officials at Fiat Chrysler and the UAW enriched themselves by using money set aside for a job-training center. At least seven people have pleaded guilty. It's the latest development in the government's investigation of how officials at Fiat Chrysler and the UAW enriched themselves by using money set aside for a job-training center. At least seven people have pleaded guilty. The conspiracy charge against Norwood Jewell was filed Monday as a criminal information, which means a guilty plea is likely. Defense attorney Michael Manley tells The Detroit News that Jewell and prosecutors are working toward a "fair and just resolution."